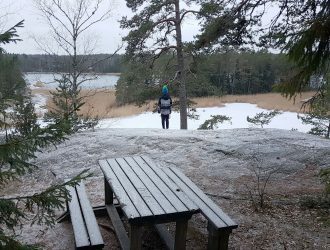 I often head to the Meiko wilderness area in Kirkkonummi with my snowshoes. The area with opportunities for various outdoor activities from trail running to berry picking deserves a separate posting later, but its size offers a chance for exploration without necessary meeting other people. 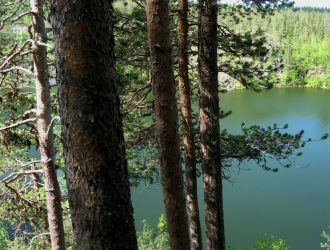 For example, Nuuksio in neighbouring Espoo is often packed with visitors. 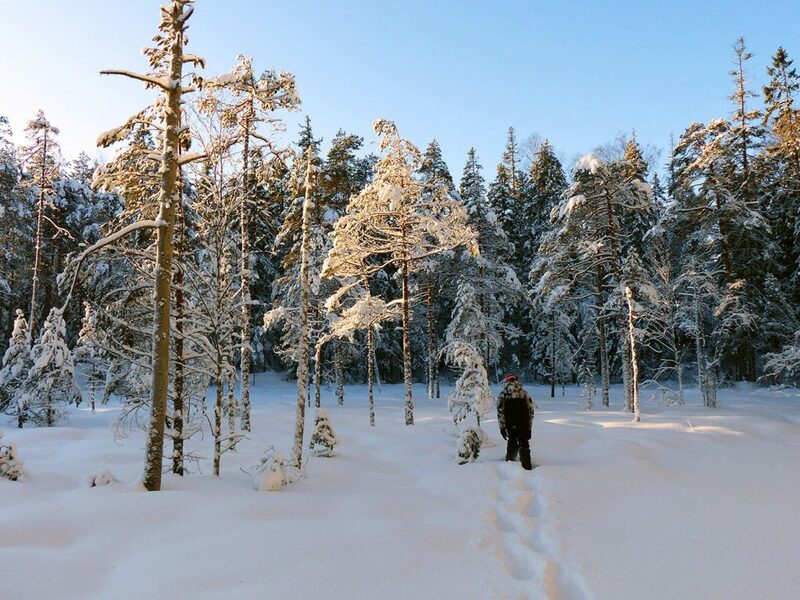 What makes the Meiko area perfect for snowshoeing and off-track skiing is the lack of dense forests. You are in practice free to move wherever you want! 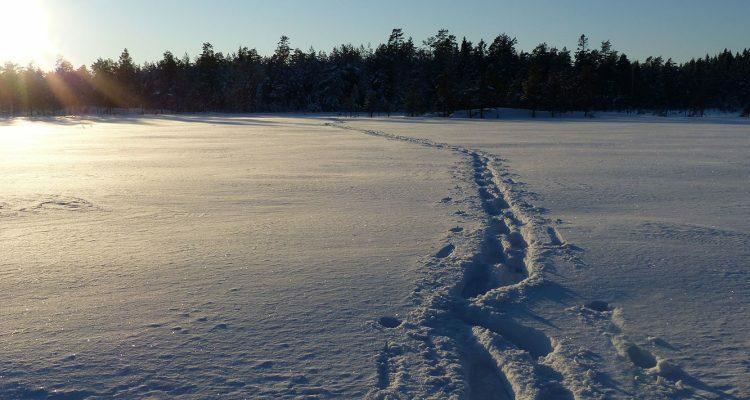 My favourite snowshoeing destination in the area are the swamps, for example Slätmossen, south of Lake Meiko. The rugged nature is fantastic and the walk is easy. It is in a way fascinating that with snow shoes you can access remote areas that are inaccessible most of the year. The large swamps also have islands which provide good spots for breaks. And the risk of bumping into others is minimal! You can, naturally, head to the wilderness as a group too, but you should definitely experience the silence on a solo tour at least once. I made this year’s first snowshoeing trip in mid-January, when there was just enough snow justifying the use of snow shoes. The best starting point, if you are driving, is the main parking area just north of Lake Meiko. It is possible to approach the swamp areas from other directions too, but the more snow there is, the less you have parking options. Usually the path around the lake is in good enough condition for walking, so I started my journey without snow shoes. The southern side of the lake is where the real going starts. The swamp is only a few hundred metres South, but this time I made a slightly longer trip and headed South toward Lake Vitträsk. After enjoying the stunning arctic dawn for two hours, without running into anyone, it was time for a break with some cowboy coffee made on a wood burner. Perfect! The early-morning trip totalled 6,5 km and took three hours. 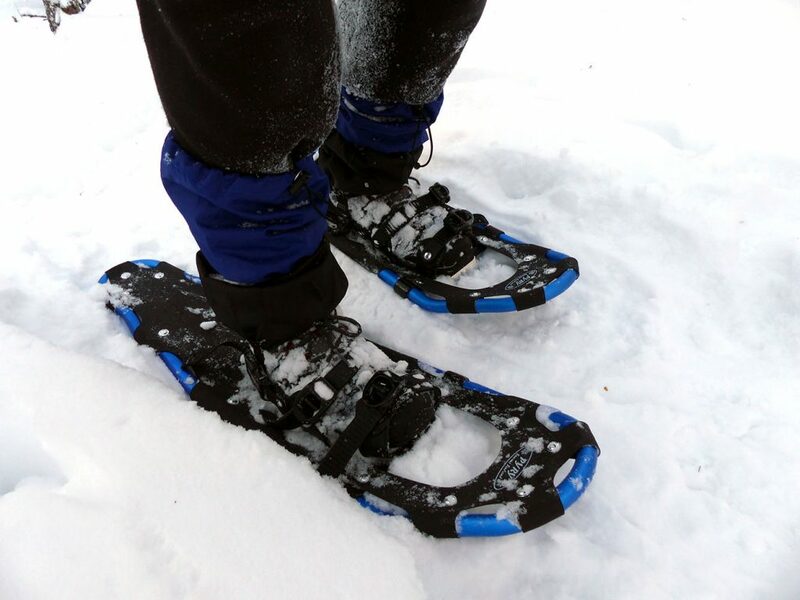 Walking with snow shoes is far easier than you might expect. It isn’t extremely heavy even in thick snow and generally resembles normal walking. When I tried my snow shoes for the first time, I was surprised how long trips you can make with them. There are many expensive models on the market, but I have enjoyed cheaper ones (around 70€) without problems even if I’m not the lightest person. On my first trips I soon realized gaiters can be very handy preventing snow from getting into the trekking shoes. I can highly recommend looking at dx.com for affordable models. Poles make it easier to keep the balance especially when descending, but are not absolutely necessary. Loose pants are also useful and make it easier to move in tough spots. If you plan to have longer breaks, it is a good idea to pack a rucksack with at least a warm jacket as you can really start to freeze when you stop moving. A snack and thermos with warm drink might be a good idea too. If you haven’t tried snow shoes before, try them in an easy terrain for a shorter distance before heading to tougher terrains in the wilderness. You might also want to consider a guided tour first just to try it out. 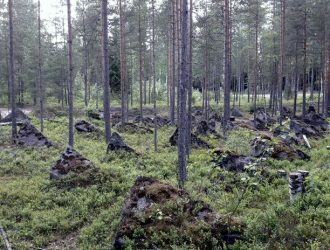 The parking area of the Meiko wilderness area is situated a few kilometres North-West from Kirkkonummi. If you have a navigator, you can use the address Korsolammentie 44. Public transport takes you to the Kirkkonummi centre (trains and buses from Helsinki). Check timetables from the Capital area Routeplanner. Cycling to the area is popular, and in fact the trails are quite popular amongst mountain bikers. 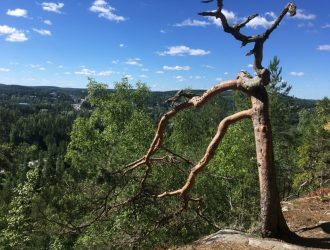 You can reach the wilderness area also from other directions, especially during summer. One option is from the South, via Lake Vaipo.